Are you worried about how much you’re gambling and wonder if you might have a problem - or has someone who cares about you expressed concern about your gambling habits? Within the last year, have you ever gambled more than you intended on? Within the last year have you ever told anyone that you were winning money when you weren’t? Within the last year have you ever felt guilty about your gambling or the consequences of your gambling? Within the last year has anyone ever criticized you for your gambling? Answering yes to 2 or more questions indicates a possible gambling problem that warrants a referral to a gambling treatment program. Want to try another self screen? This one is called the lie-bet test and screening tests don’t get much easier than this. Ask yourself the following 2 questions and if you answer yes to either, then you may have a gambling problem. This test is used to quickly rule out pathological gambling behaviors in a clinical environment. Should a person answer yes to either of the questions in the lie-bet test, healthcare workers are instructed to refer the client to a gambling treatment program for further evaluation and treatment if necessary. 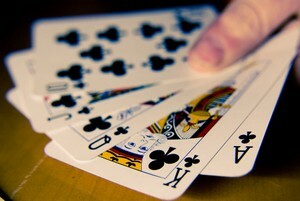 As many as 15 million Americans have a problem with gambling, and an estimated 2 million or more are gambling addicts. Learn how to differentiate between problem and pathological gambling. From recreational gambler to pathological gambler, all addicts pass through three stages of behavior and irrational thinking.